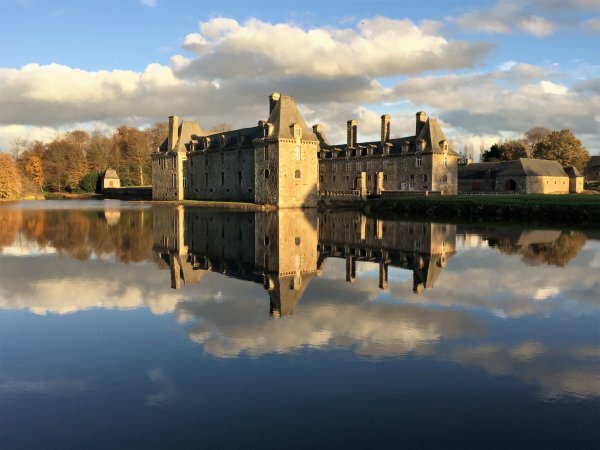 A perfect spot to explore Brittany from. 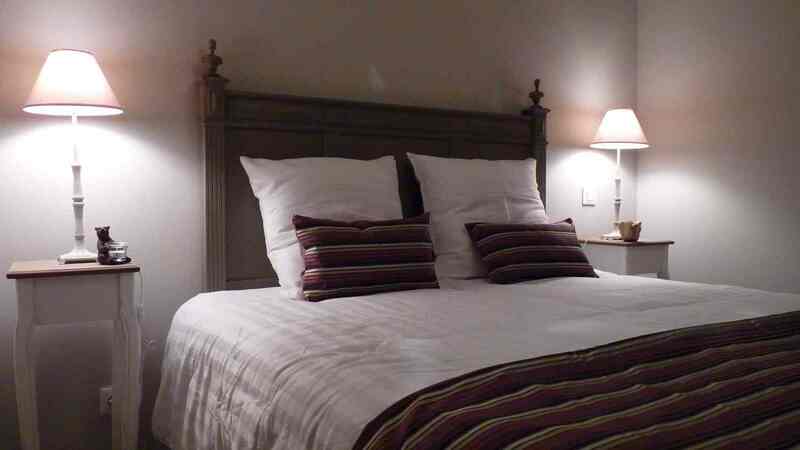 The Logis was very well equipped for two people, tastefully decorated, with a comfortable bed as well! Madly is very charming, always at hand to answer any questions, but unobstrusive in her attention. The added touches of flowers to welcome us and a basket of goodies was the icing on the cake. Daphne and I had a wonderful 8 nights in La Boulangerie; Madly was so courteous and hospitable & the thoughtful extras make for such a nice initial welcome. 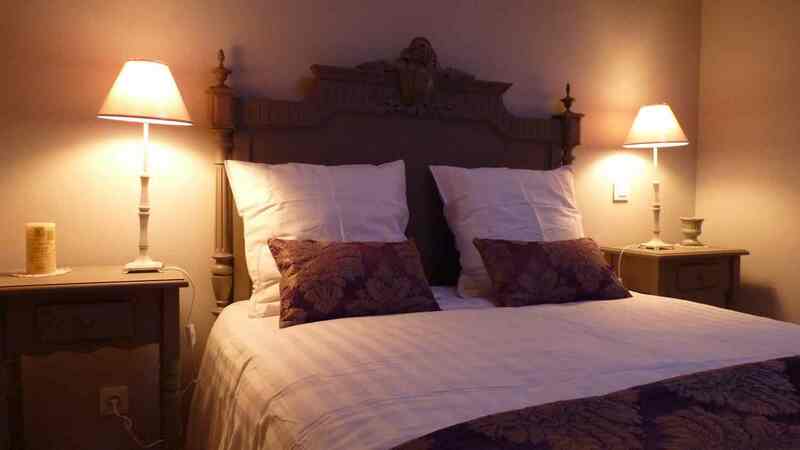 The 3 gites differ in size and number of bedrooms etc but have all been designed with such thoughtful care, taste & an eye for colour; they are generally well equipped and the beds really comfortable. Location is excellent - peaceful in spite of being close to A84, and we loved wandering in the grounds and seeing red squirrels hoarding nuts and hares and deer in fields alongside. would like a proper oven.....but will be returning. As two couples, we rented both gites and found them both comfortable and very tastefully decorated and equipped. Lovely quiet location, yet close to shops and amenities. Excellent base for visiting Fougeres, Vitre, Dinan & the coast. Madly & Manuel extremely helpful and charming. 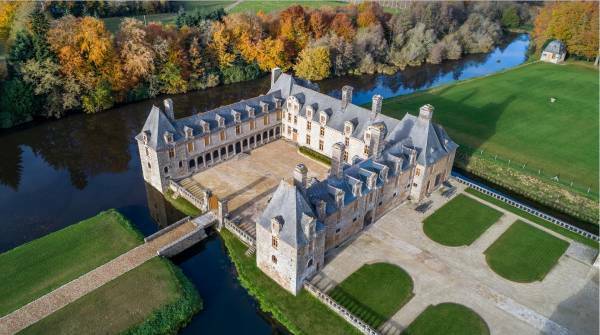 A visit to nearby Le Rocher Portail an absolute must, a stunning fully-furnished chateau with lovely gardens and grounds. " 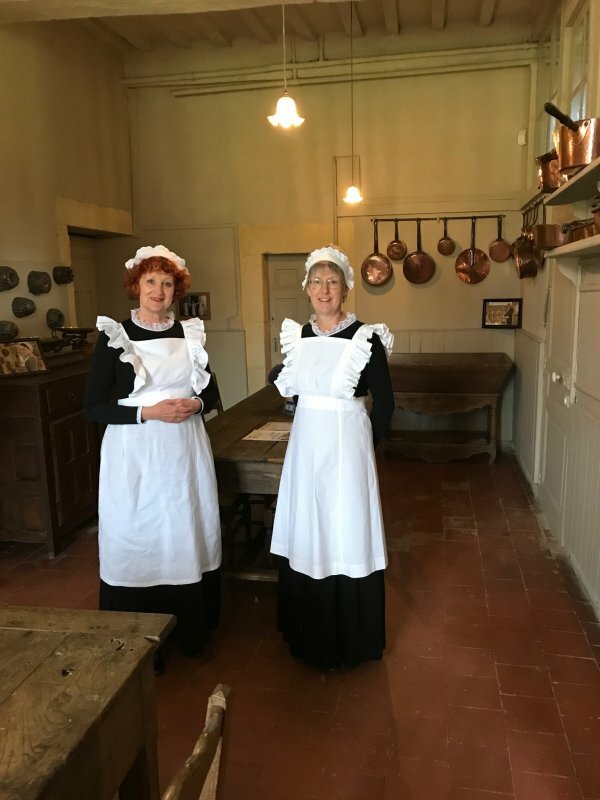 "Stayed in Logis for three weeks for the third running year and as ever enjoyed its comfort, its quiet, the cows at the bottom of the garden, the church bells in the evening, and above all Madly's helpfulness and generosity. Plenty of lovely places to visit, excellent roads with light traffic, boulangerie a walk away, ready access to a developing cycle network, so you can cycle to the cinema at the centre of Fougeres off-road. 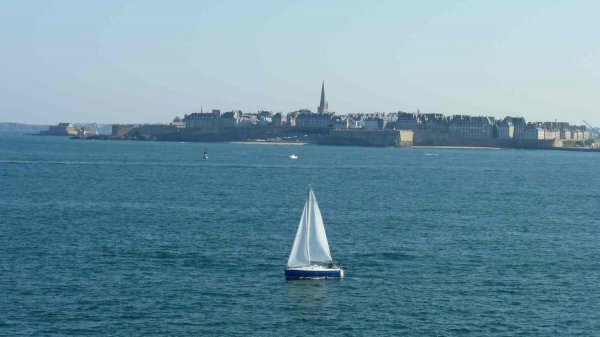 Simple and quick access from Caen, Cherbourg or St Malo. 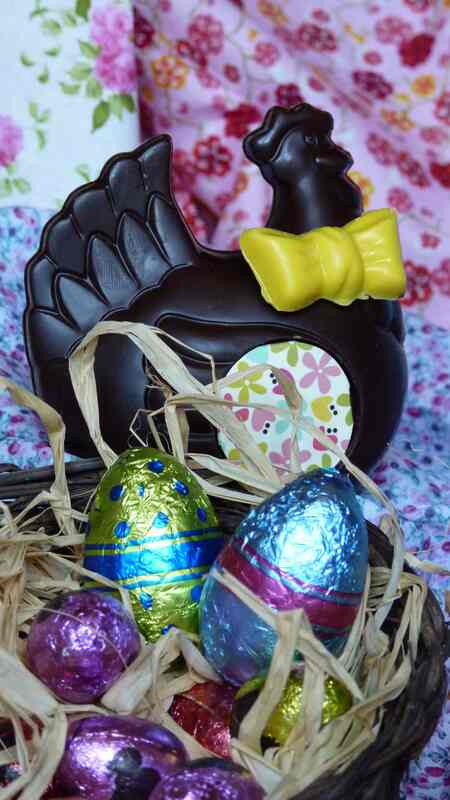 We came home very reluctantly." 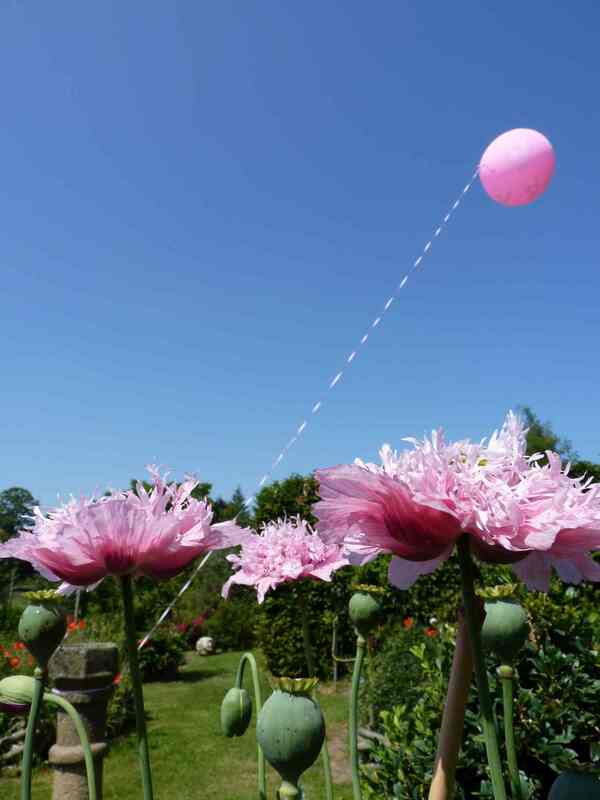 "Really beautiful gite La Boulangerie and garden meant we had a very relaxed stay during a hot week. 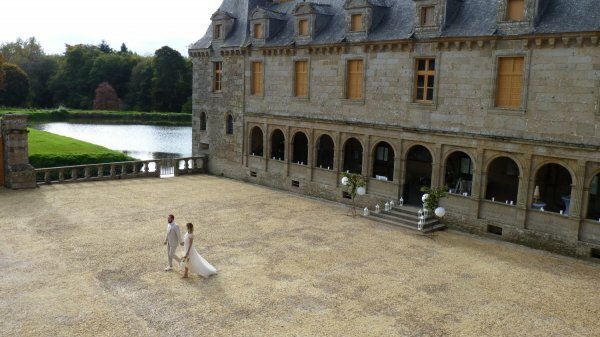 Madly was extremely hospitable and gave us free tickets to their new chateau. Plenty of places to visit including medieval towns and the coast. Thoroughly recommended for getting away from things and just relaxing." "We had a great week in the beautifully presented 'Le Logis'. We particularly enjoyed our meals on the veranda with butterflies and bees busying themselves around the colourful flower beds set against the house. Madly and her husband Manuel made us feel very welcome with suggestions of places to visit in the local area. Our favourite town was Rennes with fantastic ancient buildings, numerous shops, and plenty of eateries to choose from. " "We stayed in Le Logis for a week and thoroughly enjoyed it. Great location (close to Mont St Michel, Fougeres, Vitre, Dinan etc) in a quiet country location. The accommodation is very well presented, with Madly's good taste evident in the colour scheme and furnishings. " "Madly is a perfect host, as was our stay at Le Logis! It is so comfortable, wonderfully decorated and the attention to detail is exceptional . All basic provisions are provided and a lovely little hamper to enjoy on arrival. Not to mention the bikes we used every morning to cycle to the local boulangerie for delicious bread, croissants and cakes. The garden is a great place to sit, relax, eat or drink. We went to the welcome evening at the local tourist office Madly told us about and ended up going to a local farmers market to buy the cider we tasted there.. despite our non existent French!" 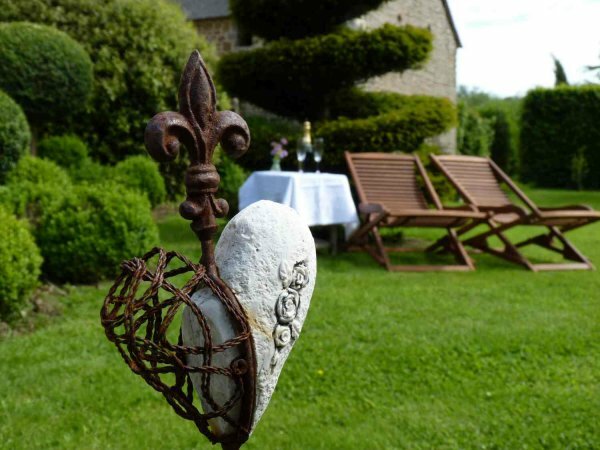 "We would highly recommend this house Manoir du Vaugarny. It is charming with a wonderful garden. It is well equipped & has a beautiful interior. Madly made us very welcome & gave us lots of information about the locale area, including maps & the use of bicycles. " "A wonderful gite La Boulangerie that is situated quietly and peacefully with only the sound of the birds and sometimes a few cows. Madly made us feel very welcome and has done everything to make the gite comfortable and tastefully decorated. A lot of information about the area and walks is provided. A perfect stay to come home after a walk, visiting a market or picturesque village. The gite is centrally located to visit the coast as well as the inland of Brittany. All in all a beautiful and peaceful escape to the country. So if you are looking for a gite in a lovely surrounding, this is the place to go to." "My husband and I have just returned from a lovely week at Le Logis. It is a very comfortable and tastefully decorated place to stay and we had a lovely week. 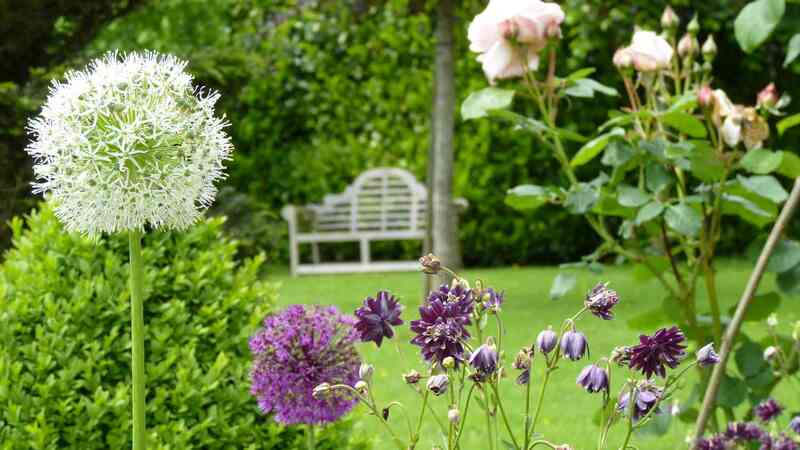 The garden is a lovely place to sit and relax and is beautifully kept. Madly, the owner, is so helpful and friendly and little extra touches like a welcome hamper and flowers picked from the garden around the house make a real difference. I would have no hesitation in recommending Le Logis to others. " "La Boulangerie is stylishly decorated, comfortable and immaculate. The property is in a very peaceful location and has many places of interest within easy driving distance eg. Fougeres, Vitres, Dinan and Cancale. Our 15 year old daughter enjoyed the table tennis and bikes which were provided, walks on the Breton coast, shopping in Rennes or just lazing in the hammock in the sun! The owner, Madly, was charming and very helpful from the minute we booked and her invitation for aperitif with her and her husband was a really lovely and unique addition to our holiday. Would definitely recommend." "Myself & my partner stayed in Le Logis for one week in July. We were welcomed by Madly, the owner, upon arrival who was extremely warm & friendly, offering her assistance with anything & provided lots of information regarding days out sightseeing, walking etc. Also awaiting us was a lovely hamper with wine & goodies. The cottage was a stunning semi detached property with all you needed, situated in a very peaceful rural location with a garden overlooking fields. Nothing like sitting in the garden of an evening with a glass of wine surrounded by lovely nature. A lovely relaxing break!!" "A well appointed, clean and comfortable cottage, the photos do not really do it justice especially the living area. A pretty garden to relax in. Situated in a very peaceful and rural location, lovely countryside . The nearby local bakery provides excellent bread and pastries and mini super market is well stocked. A very warm and friendly welcome from Madly who goes the extra mile to ensure your perfect stay. Plenty of places to visit within an hours drive. Good area for cycling and very handy to have bikes on hand." We spent a lovely week at this recently renovated cottage La Boulangerie. Madly, the owner, met us and showed us around the cottage which was beautifully presented, spotlessly clean and well equipped. A welcome hamper awaited us, together with fresh flowers on the table and in the bedroom. There is a lovely private flower filled garden to sit and enjoy the views and peace and quiet. Madly gave us a tour of her garden at the Manor and recommendations on places to visit and restaurants in the area. We had a very relaxing week and would highly recommend this special place." "We came in search of a relaxing holiday in the countryside and couldn't have done better. The gite La Boulangerie and the welcome received from Madly was 5-star and very much hope to return one day, as still a lot to do and see in the area." "We have just returned from another three weeks in Logis, and once more had a wonderful time, despite the poor weather. Madly was once again extremely helpful, both in providing treats and information, and her dedication to the decoration and arrangement of her gite is of the highest order. One highlight that Madly organised for us was a three-hour tour of the local area in a 2CV with a guide who knew it like the back of her hand, and so we saw very much more than we would have found for ourselves. We were very sad to leave, and would not hesitate to return for three weeks in 2017." "Delightfully situated barn conversion Le Logis, with an owner who has an incredible eye for detail. This interior exudes style! 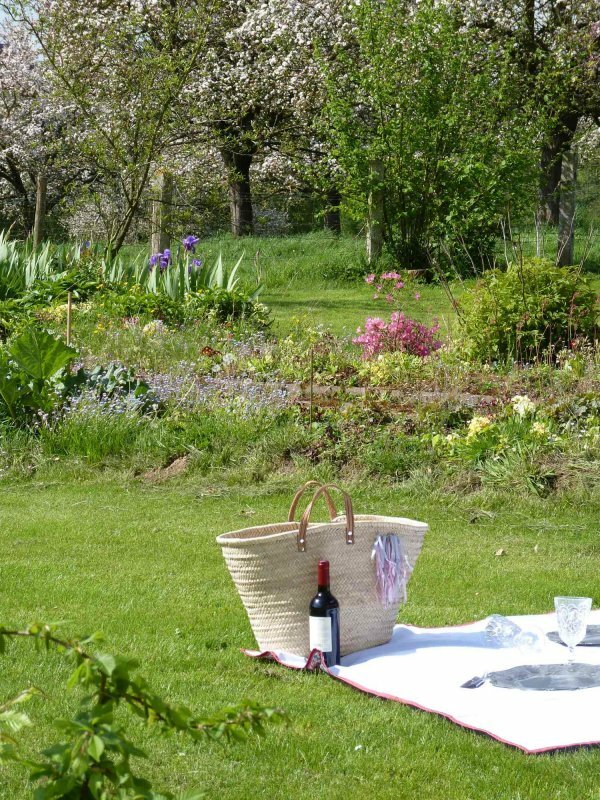 Walk across fields to the bakery in the morning, or cycle into the next village for a pizza and a vin rouge of an eve.. Or just fire up the bbq and dine with the birds and the bees that are so blessed to live in the gardens of Le Manoir. 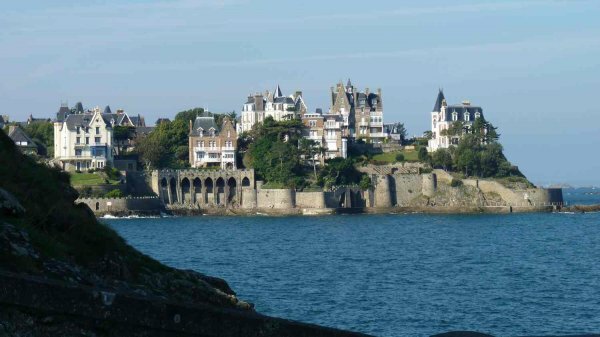 Day trips to Dinan, St Malo or Le Mont Saint Michele are never far away. Madly, the owner, is a font of knowledge on the area, and was charmingly helpful from the moment we arrived. We had to tear ourselves away." "My husband and I stayed in La Boulangerie and had a fabulous time. The cottage was spotless and extremely comfortable. Madly was an amazing host who was warm, generous, enthusiastic, informative about attractions in the area and only too willing to share their beautiful house and gardens. Around the cottage are lovely, peaceful places to cycle and walk. The location was also great for exploring other areas in Brittany and Normandy, such as Parc floral des hautes Bretagne, Mont St Michel, and the seaside. We had such a lovely time - it is fantastic place to stay and would happily return again." "My partner & I very much enjoyed a beautiful sunny week in Le Logis. Impeccably furnished & presented, Le Logis was the perfect size for a couple, with an excellent South facing outside area to take full advantage of the weather, views & admire the friendly cows in the orchard. Madly was a most excellent host, full of information & enthusiasm, we very much enjoyed the tour of the Manoir gardens and complimentary hamper & wine. 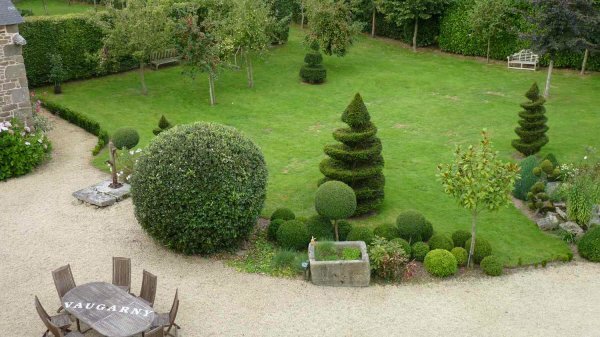 Manoir du Vaugarny is also well located, with a plethora of places to explore within easy travelling distance. Very much recommended! We would most certainly return. " 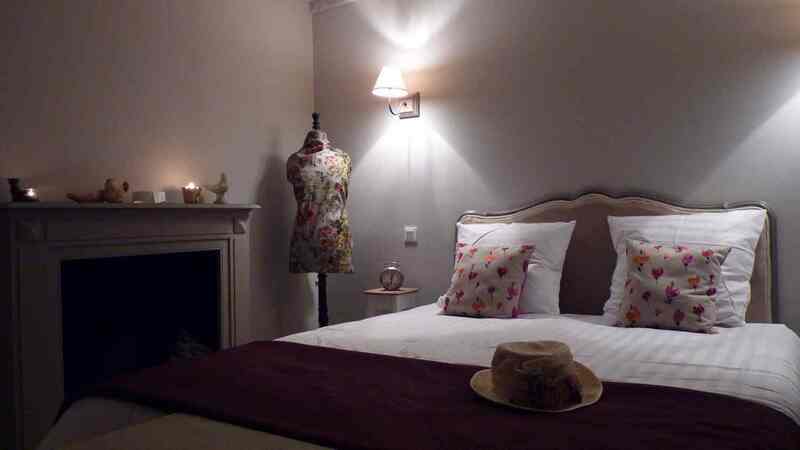 "We just spent a lovely week in Madly's Le Logis one bedroom cottage near Fougeres. The cottage was impeccably decorated with a great outdoor garden in a country setting. While we were in the country, it was still near enough to all the amenities such as a bakery, a grocery and fine restaurants. Madly and Manuel were fantastic hosts - always available for information on the area and advice. We were also able to share and "apertif" with our hosts and truly enjoyed sharing our different cultures. Truly a fantastic experience." "We spent a wonderful week in the 2 bedroom gite 'La Boulangerie'. Our hosts, Madly and her husband' were delightful and made our stay very special. The gite is more than comfortable and is a retreat that is worth returning to time and time again. Manoir du Vaugarny is well located in the beautiful Brittany landscapes and is a stones throw from surrounding endless places of interest . Would we revisit? A very definite yes!" "We spent three weeks in Logis and would happily have stayed much longer. It is beautifully appointed and decorated, and Madly could not be more helpful and welcoming, whether providing local produce and wine or advice on the area. The local village connects into the "routes vertes", has a boulangerie and mini-supermarket within walking distance, so you could even do without a car during a shorter break, there is enough within walking/cycling distance. 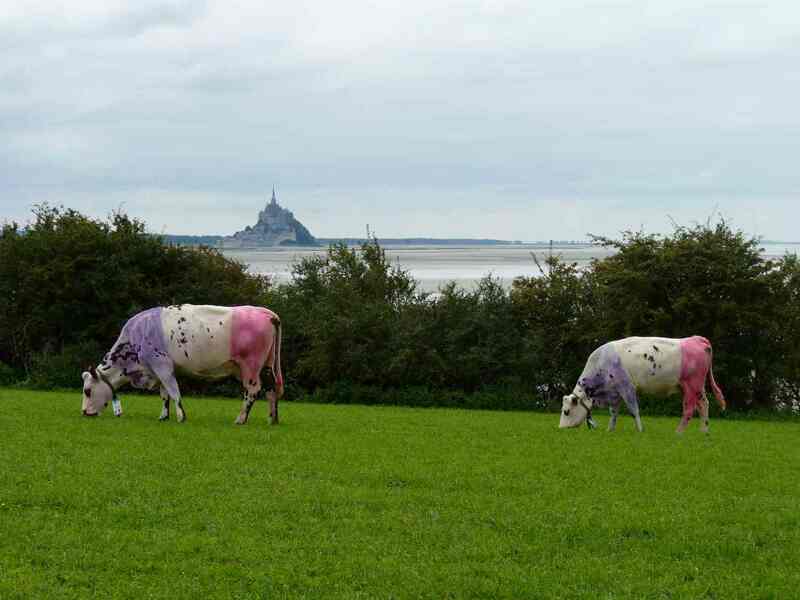 Otherwise Rennes, Dinard, St. Malo, Mont St Michel not far away. Definitely a place to which we will return." "The self catering cottage we stayed in at Manoir du Vaugarny in early Spring 2015 was an absolutely wonderful experience. The Cottages have been exquisitely furnished by the owner with flair and quality which is of the highest standard and comfort. As everything is brand new it was altogether a fantastic experience and we wouldn't hesitate to recommend this accommodation in an area of natural beauty and interest. It was a wonderful trip to celebrate our Anniversary."